When communicating with Herriman High teacher, Darlene James, her passion and inspired ideology was crystal and sharp. 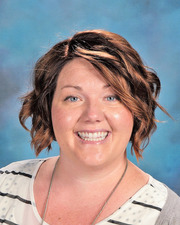 Currently an educator at Herriman High, James teaches AP World History, US History II, English Language Development and Comparative World Religions; this is James’ twelfth year teaching, her eighth in the Jordan School District. “I really like people, and I like figuring out creative ways to reach all types of people. It takes fine tuned interpersonal skills to be an effective teacher… My passion for teaching comes as I become more aware of weaknesses that can be made strengths for myself and my students through focused and continued efforts on my part.” James said. Darlene James is the recipient of Utah’s 2015 James Madison Fellowship grant. This year is a special one for James. She is Utah’s 2015 recipient of the James Madison Fellowship grant, a prestigious award given to those educators who show a desire and passion for strengthening the teaching of History and importance of the principles of the U.S. Constitution. With the recognition comes a $24,000 grant, which will be used for expenses related to Jame’s graduate studies. She is working on her second Master’s Degree. “She [James] is dedicated to civic responsibilities; she delineated her career plans and professional goals that align perfectly for our mission and the requirements of James Madison Fellowships,” Osborne said. James talked about the difficulties of being a teacher, how she herself almost didn’t make it during her student-teaching phase due to a lack of respect. “It was disheartening,” James said, but she soon found her own rhythm and confidence and began experimenting with different styles of teaching until she found something that worked. “The recent shift in education toward data driven curriculum is killing education, and causing good educators to pause and question their profession,” James said. It is refreshing to know teachers like James are still out there willing to beat against the status quo. “So many mandates have taken the joy out of being an educator, all autonomy and trust as a professional has slowly slipped away. Our profession is not respected, we are often thought of as quickly replaceable, and have been forced to become dictated robots,” said James.